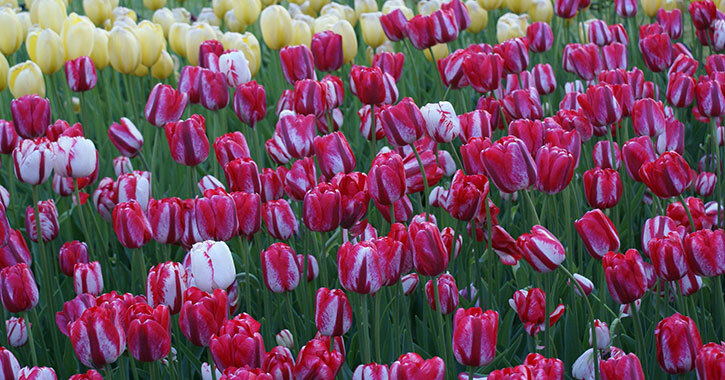 This year's Albany Tulip Festival takes place during Mother's Day weekend - Saturday, May 11 - Sunday, May 12, 2019. The annual event boasts over 150 different kinds of tulips, fine arts exhibits, live music & entertainment, and much more in celebration of Albany's Dutch heritage! A Touch of Dutch: The Tulip Festival is a time for the City of Albany to celebrate its Dutch heritage as the oldest Dutch settlement in America. 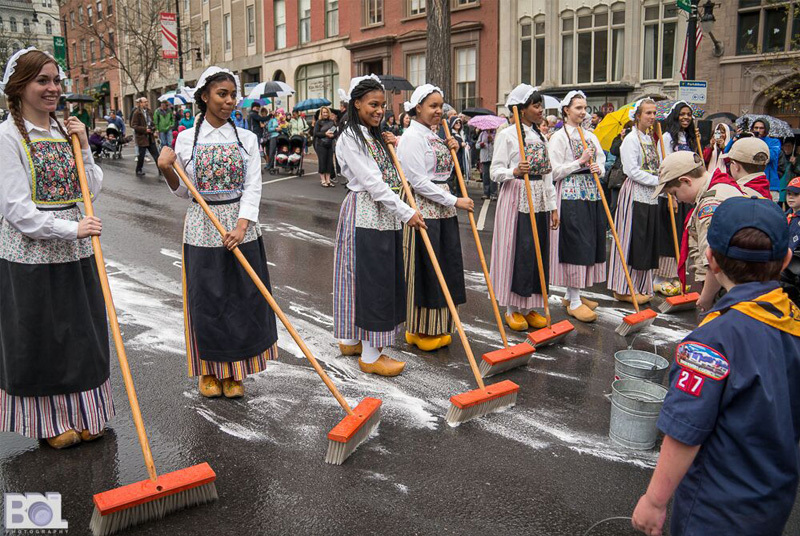 Girls in authentic Dutch costumes kick off the festival each year with the traditional scrubbing of State Street. Learn more about the vast variety of flowers planted for Tulip Fest with City Gardener Jessica Morgan. Tours are free to attend. Spaces are limited and reservations are required; call 518-434-2032 to reserve your place (weather permitting). Tours will be held on the following dates: May 6 - May 8 at 2:00 p.m. and 5:00 p.m., May 9 at 1:00 p.m., 3:00 p.m., and 5:00 p.m., and May 10 at 10:00 a.m., 1:00 p.m., and 5:30 p.m.
Carillon Concert - 11:30 a.m.
Amy Heebner performs a special Tulip Festival musical program on Albany City Hall's historic 1927 carillon, a unique instrument consisting of 49 bells that range in size from 27 to 11,200 pounds. The traditional Dutch ceremony of scrubbing the streets clean before a big celebration has served as the official kickoff to Tulip Festival weekend for 71 years. This unique Albany event will include Mayor Kathy Sheehan's Tulip Festival opening proclamation and a procession from City Hall. Tulip Festival Luncheon - 12:30 p.m. Immediately following the street scrubbing, the Tulip Festival Luncheon is a farewell and thank you to 2018 Albany Tulip Queen Sawyer Cresap and her Court. Proceeds from the Tulip Festival Luncheon will benefit the Tulip Court's educational programs via the Tulip Fund at the Community Foundation. Tickets are required; email tulipluncheon[at]gmail[dot]com to purchase. The Mendelssohn Club - 11:30 a.m.
A local institution for over a century, this acclaimed male chorus is the longest continuously performing arts group in the Capital Region. Tulip Queen Procession - 11:45 a.m.
2018 Tulip Queen Sawyer Cresap, Mayor Kathy Sheehan, and the Dutch Settlers Society lead the 2019 Tulip Queen finalists to the Lakehouse Stage. Mayor Sheehan and MC Chad O'Hara of B95.5 crown the 71st Albany Tulip Queen in this traditional highlight of Tulip Fest weekend. Royal Tulip Ball - 6:30 p.m.
An elegant evening of dining and dancing to honor the new Tulip Queen & Court. Proceeds benefit Capital City Fund. 21st Annual Mother of The Year Award - 12:00 p.m.
Mayor Sheehan and B95.5's Joe Condon recognize the Capital Region's most outstanding moms. Presented by St. Peter's Health Partners, Times Union, and B95.5. Nominations open April 8. Enjoy pony rides, a rock climbing wall, inflatables, face painting, music, games, and more fun for the family. Saturday: Albany Public Library is out of this world! Join them in the tent for space theme crafts and activities geared to ages 3-8. The Albany Department of Recreation will also be running a Lacrosse Clinic, Tug of War challenge, and stationary ball Toss. Sunday: Come see L.L. Bean at the Kidzone and learn how to make a Paracord Bracelet (survival bracelet) and take it home. It's free and fun. Continuous entertainment throughout the weekend! 1:00 p.m. - Artpartners: This community-based dance training program presents a stellar performance bridging classic and modern styles. 1:15 p.m. and 4:00 p.m. - Melvin the Magnificent: Melvin is a professional magician played by Joe Goode. His shows are action packed, interactive, and sure to bring huge laughs from the entire audience. 2:45 p.m. and 4:45 p.m. - Andy "The Music Man" Morse: A well-versed children's musician renowned for delighting audiences of all ages through sing-a-longs, dancing, play-acting and storytelling. 3:30 p.m. and 5:30 p.m. - Ruth Pelham of the Music Mobile: A Capital Region musical treasure, exuberantly promoting her mission of building peaceful communities through original songs for all ages. Saturday Only - 12:15 p.m. and 2:00 p.m. - Park Playhouse: Washington Park's beloved theater group offers exciting sneak previews of their 2019 musical productions. Sunday Only - 12:15 p.m. and 2:00 p.m. - The Tick Brothers: This duo puts out a full band sound that's sure to soothe the soul and rock your bones. Elk Street Parking Lot: Located behind the State Education Building - the pick-up location will be Elk and Hawk at the stop sign. Volunteer at Tulip Fest! - Be close to all the action and enjoy great perks as a Tulip Fest volunteer! Call 518-434-2032 to learn about volunteer opportunities. 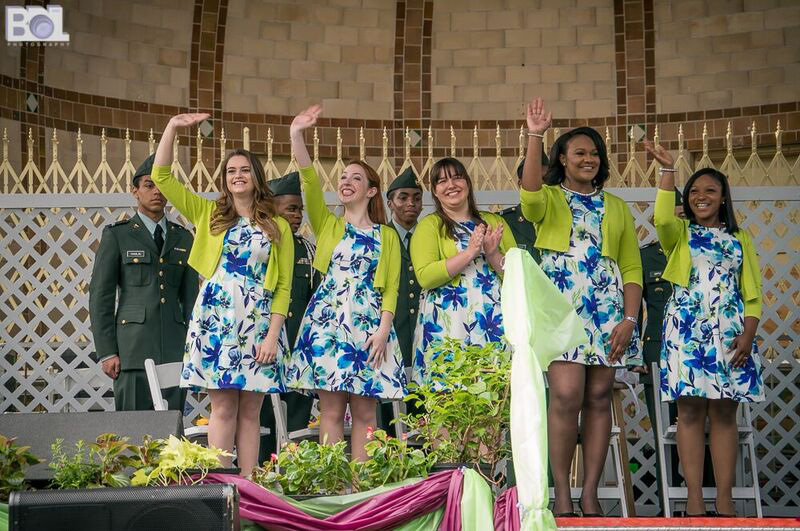 The Albany Tulip Festival is conveniently scheduled on Mother's Day weekend, so take Mom out to Washington Park in Albany for great music, vendors, tulips, and fun!